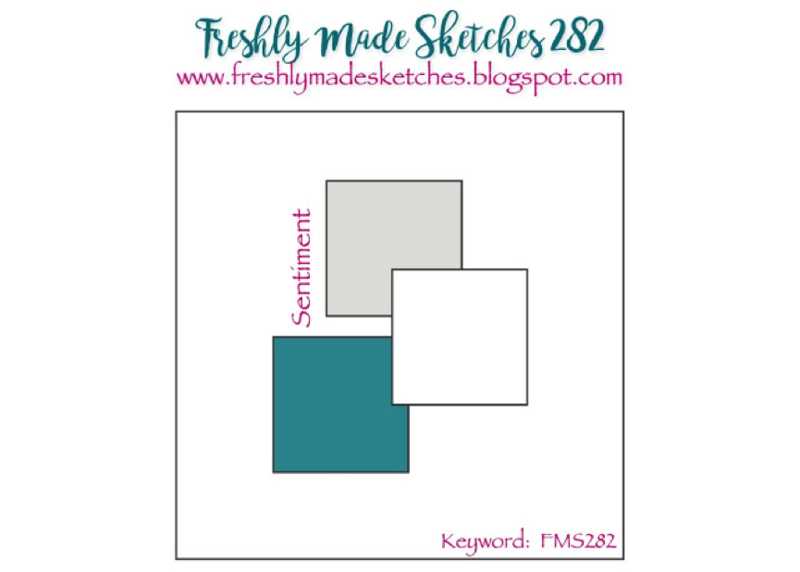 There’s a new sketch at Freshly Made Sketches. This week our sketch hostess is the fabulously talented Cecile Ribon. I fell in love with this sketch as soon as I saw it. It’s such a cool design that made making my card easy and come together in no time. A no time card was what I needed as I’m on hols and sunning it up by the beach until next week. Take a look at the friends I made while I was putting my card together on Monday. 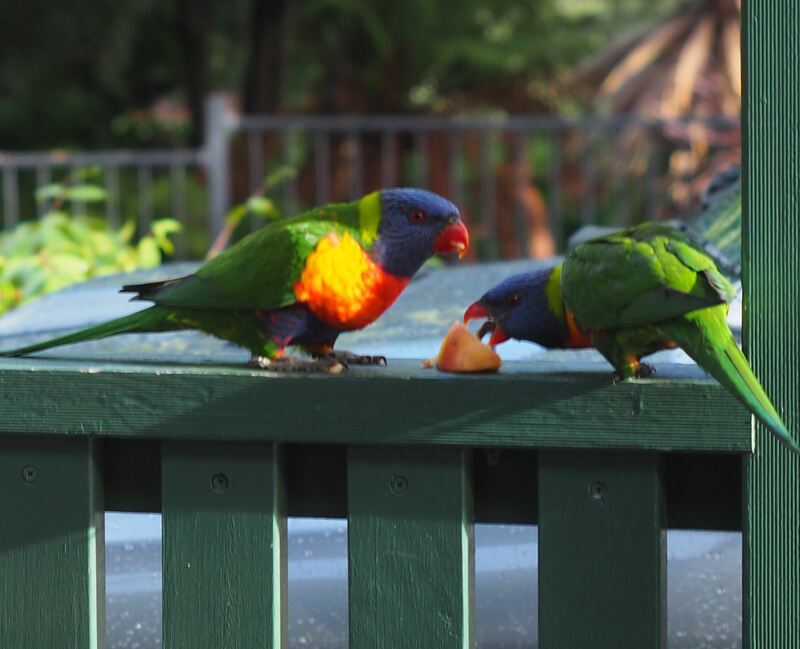 These cheeky birds have me wrapped around their little fingers (if they had any) and have me feeding them 3 times a day. You probably know by now about my love of flower stamp sets. The stamp set I have used is from Stampin’ Up!s Oh So Succulent. The flowers I have stamped are quite possibly supposed to be made into succulents, but I decided to colour mine and make a Dahlia out of it. I have paired them with some leaves from Stylish Stems Framelit Dies. 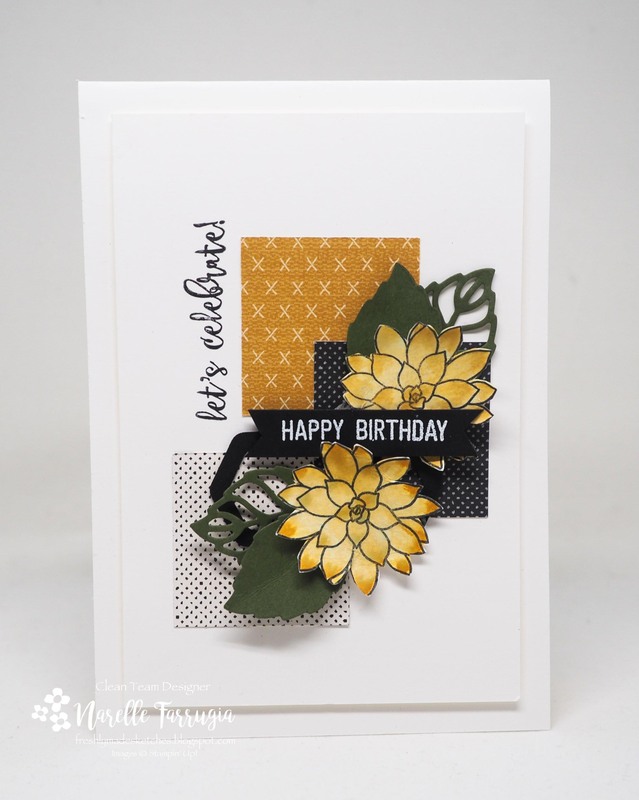 The squares in the background are from Urban Underground Speciality Designer Series Paper – which I LOVE! The sentiments I’ve used are from Balloon Adventures. 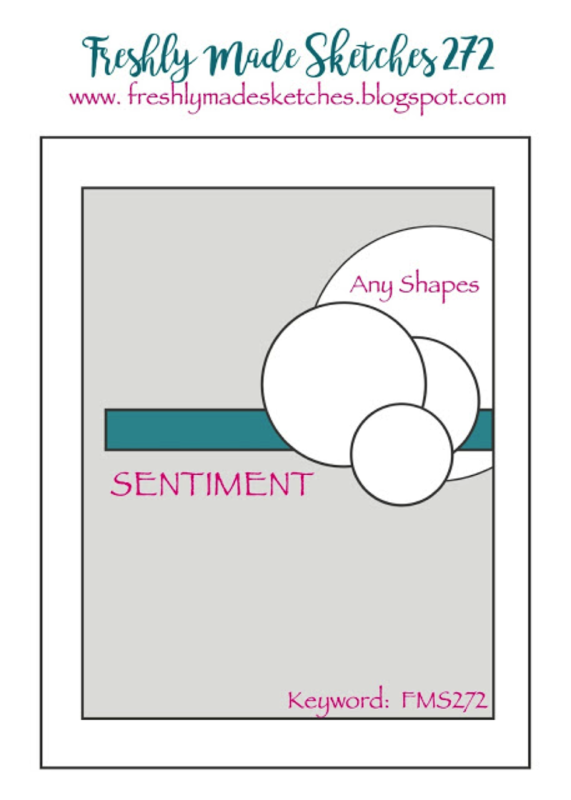 There are so many of the sentiments that I use from this versatile set. 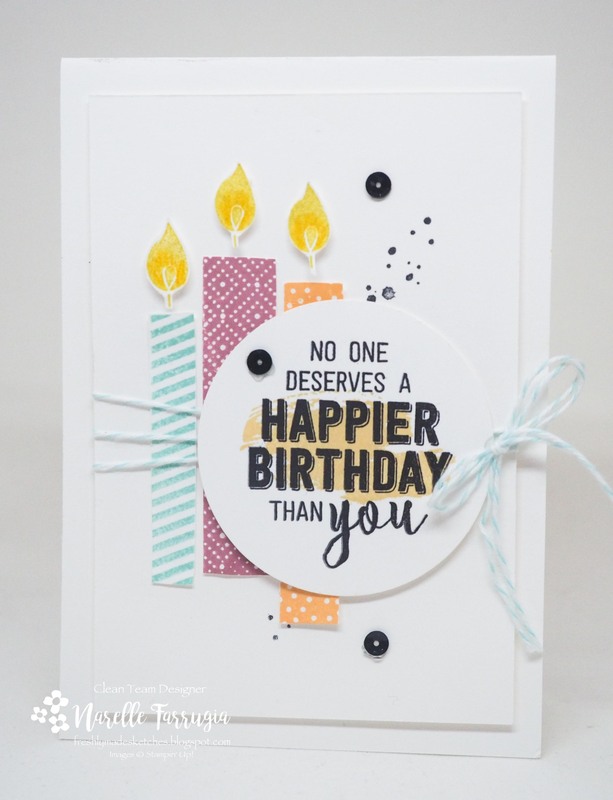 As always, the Design Team at Freshly Made Sketches has nailed it and created gorgeous cards to inspire you. Head over to the challenge and take a look. While you’re there, we would love it if you could play along. So it seems my bad week from last week has carried on to this week. I completely forgot to schedule this post for Wednesday! I’m going to blame being on holidays as I have totally lost track of days. 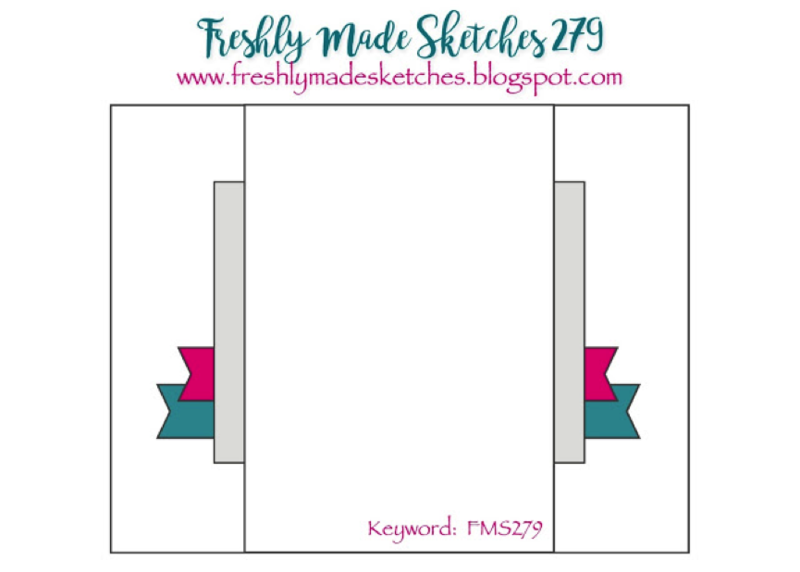 This weeks cool sketch at Freshly Made Sketches has been designed by the very talented Cecile Ribon! 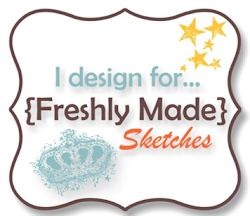 The design team at Freshly Made Sketches have created wonderful inspiration for you. Head over to the challenge blog and take a look. This is going to be an easy one to play along with! 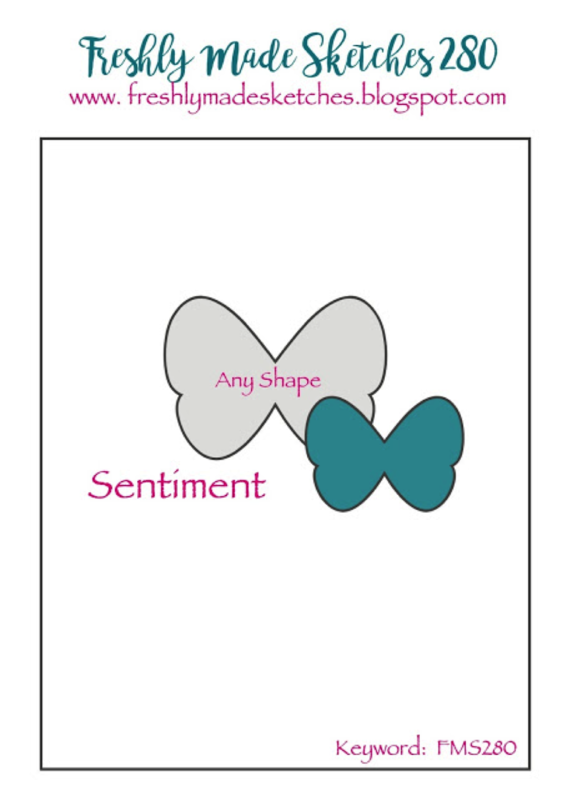 I’ve chosen two patterns of designer series papers from Sending Love Designer Series Paper Stack. I’m in love with these papers! They will be available from the new Occasions Catalogue in January. 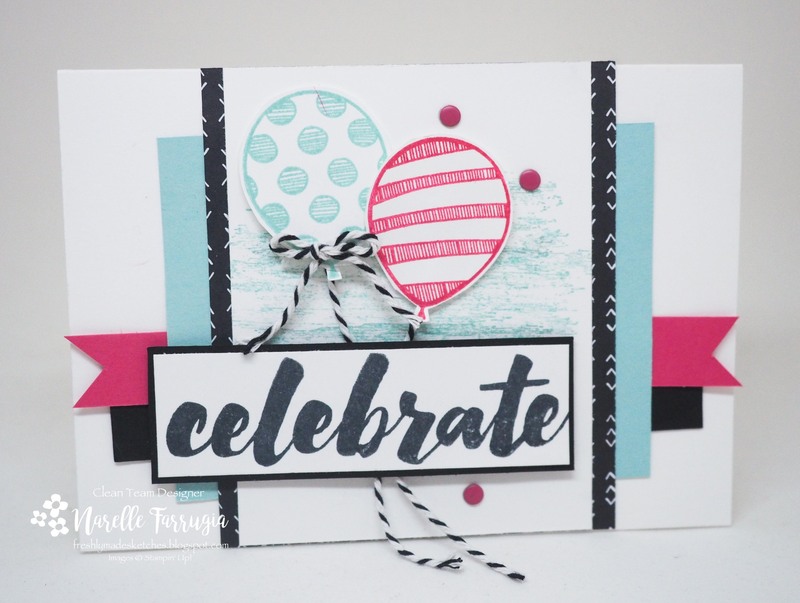 I’ve paired the papers with a stamp set that will also be available next year called Balloon Adventures. 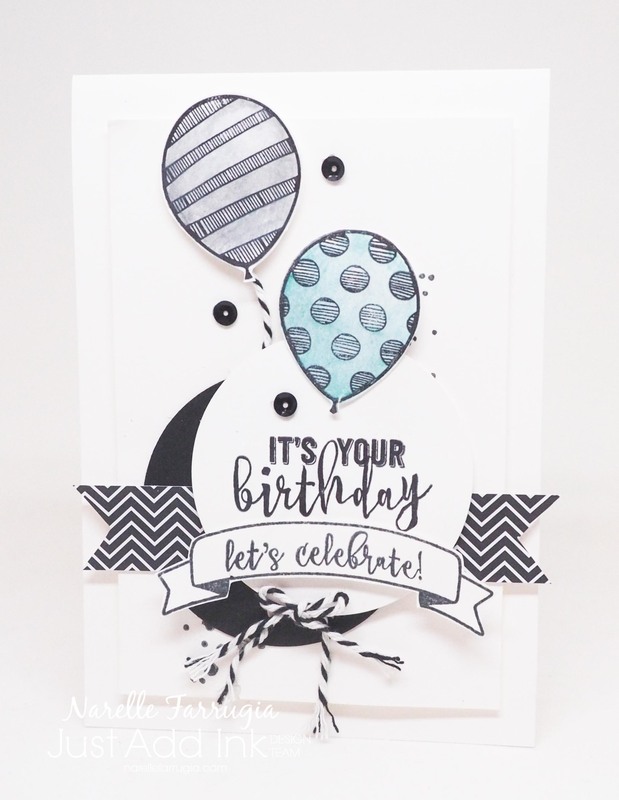 This stamp set coordinates with Balloon Pop Up Thinlits. 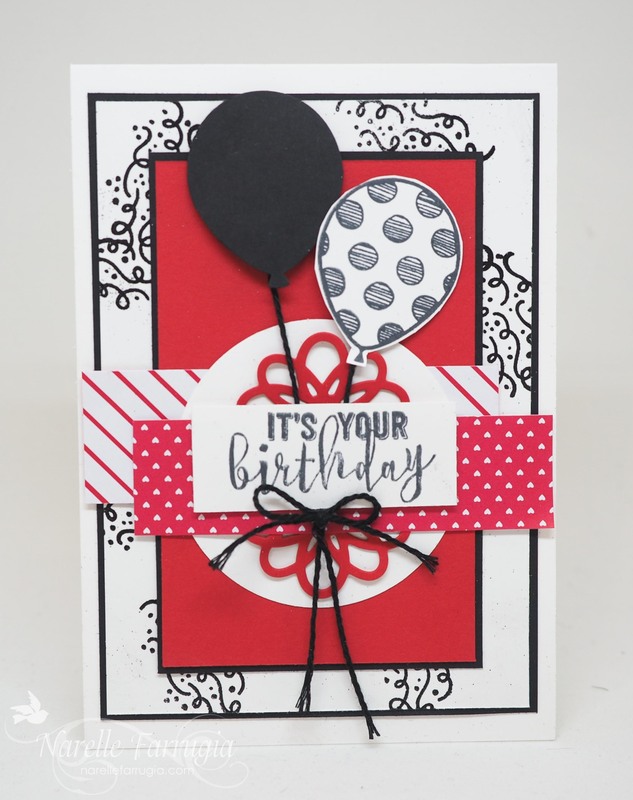 From these thinlits I’ve used the loopy present topping die and cut two of them to create a doily effect. 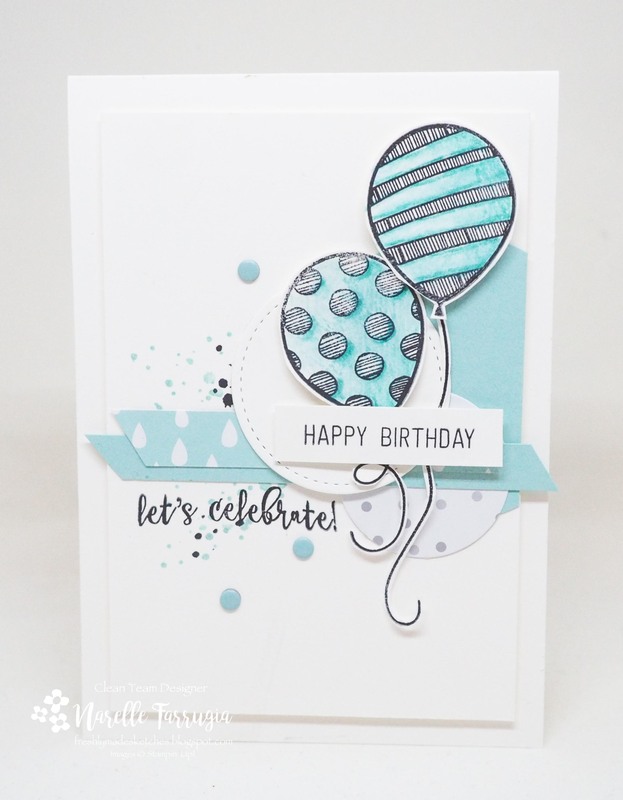 Head over to Just Add Ink and take a look at the inspiration from the Just Add Ink Design Team.